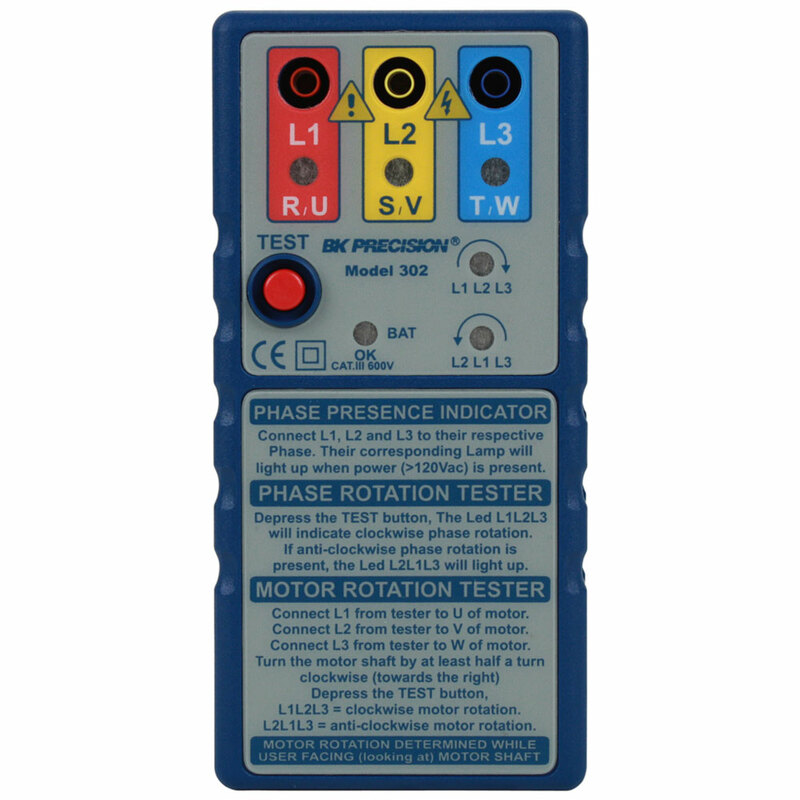 The model 302 is a 3 Phase Presence and Rotation Meter combined with a 3 Phase Motor Rotation Tester. It is the quickest and easiest way for servicing, repairing and electrical maintenance of 3 phase systems and 3 phase rotating machinery. 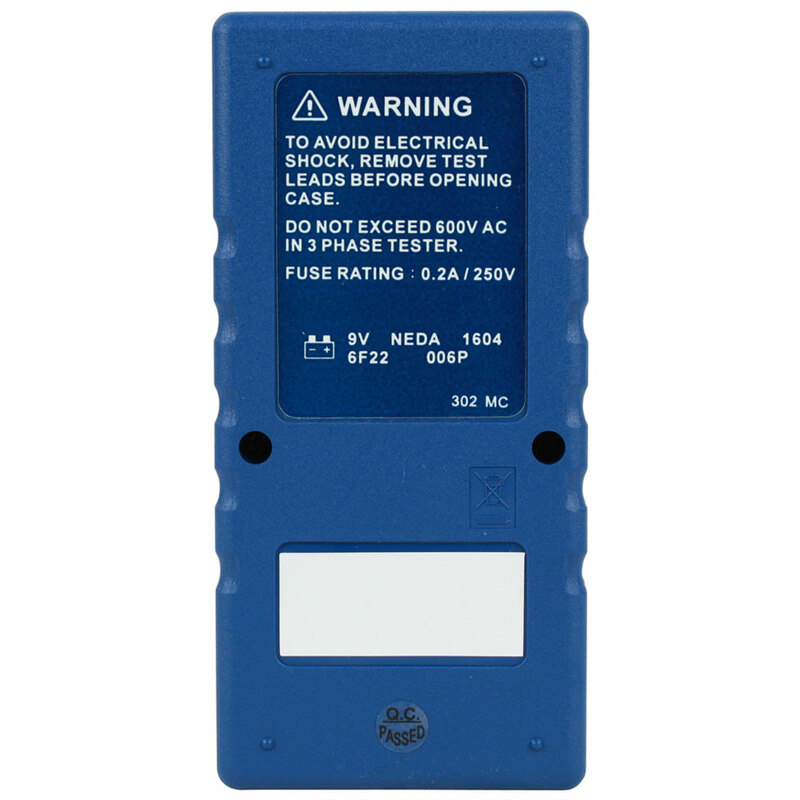 It can be utilized on a 3 Phase Powered System (the supply side) or on a Three Phase Un-powered Motor (the load side) without having to worry about damage to the tester. When utilized on a 3 Phase Powered System, the instrument is then utilized as a 3 Phase Presence and Rotation Indicator. 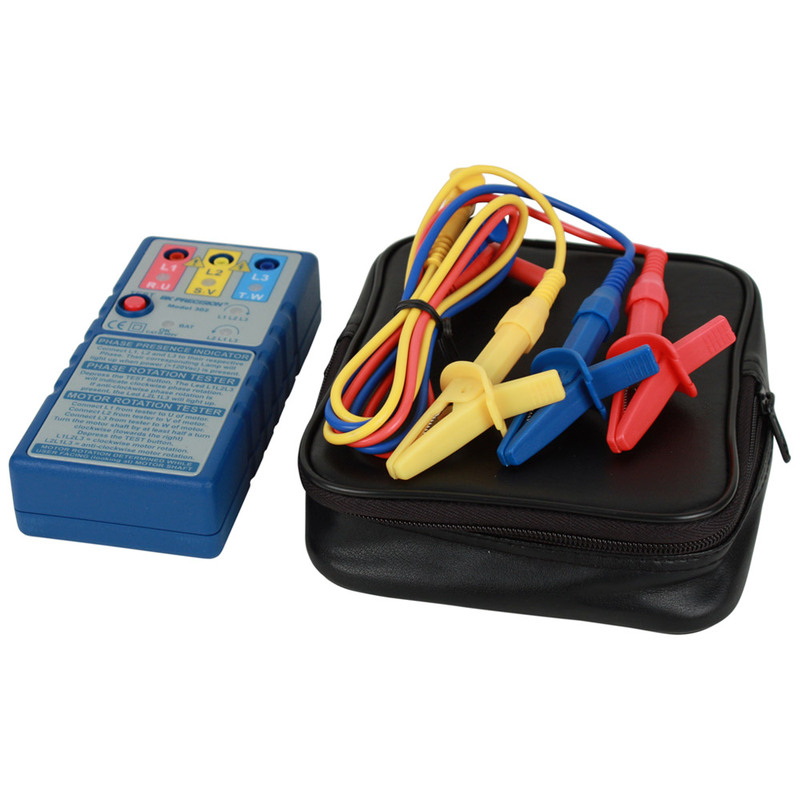 When utilized on a Three Phase Un-powered Motor, the instrument is then utilized as a 3 Phase Motor Rotation Tester. When utilized on a 3 Phase Powered System, this instrument is a rotary field indication instrument which display all three Phase by lighting up it's corresponding LED. It displays the rotation (clockwise or counter-clockwise) on a LED. 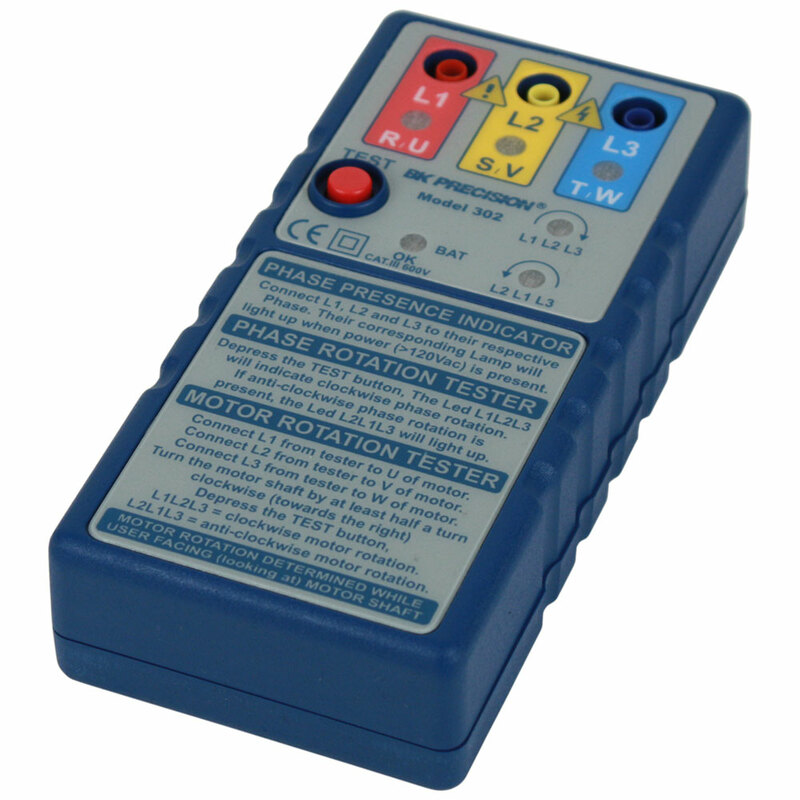 When utilized on a 3 Phase Un-powered Motor, it is also possible to determine the motor connections U, V, W without a live circuit to avoid subsequent damages of e.g. pumps to reversed motor rotation. It displays the rotation (clockwise or counter-clockwise) on a LED.